About a month ago, one of our teachers told me about a new website called EDpuzzle that she had started using with her students. She was so excited about it and talked about how easy it was to create interactive lessons for her students using either videos she had created or videos that were already on Youtube. I decided to give it a try for teachers who weren't able to attend our recent professional learning day. At the beginning of each nine weeks, we hold "Collaboration Hour" for staff members to attend teacher-led PD that introduces the literacy strategy for the nine weeks. Since it is part of our school-wide literacy plan, we require all teachers to attend. But what about teachers who were unable to attend that day? It's an issue faced by schools all over... how do we provide a simulation of the day so that it is as (or nearly as) meaningful as being present and collaborating with other teachers? We've tried different ways to hold "make-up sessions" for teachers who miss required meetings, from meeting one-on-one with an administrator to recording the video and using a google doc for follow-up questions. The teacher-led session was so interactive that I knew we could never reproduce the face-to-face time with each other. I decided to give EDpuzzle a try since hearing the excitement from our teacher AND because she had praised the ease of using it. I needed easy during this busy time of the year! Knowing that I was going to need a video of the collaboration hour, I had two plans for recording the session. We used a Swivl to record it, and we also had our tech guys to record it. I really liked the recording done by our tech guys, so I took that video and uploaded it to Youtube. All I needed to do was paste the link to the Youtube video into EDpuzzle, and I was ready to create. 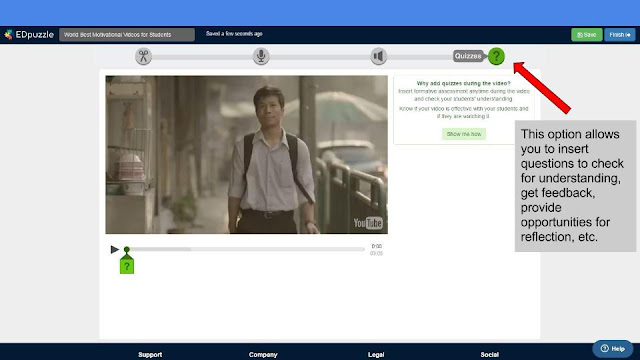 EDpuzzle allows you to insert voiceovers, comments, and "quiz" questions. For the flipped PD, I simply watched the video and wherever the teacher asked the group questions, I would insert a quiz question. To "grade" the participants, I simply go each person's progress page and I can see how many times they watched each section, the percentage of video watched at that time, and I can also leave a comment about each answer. 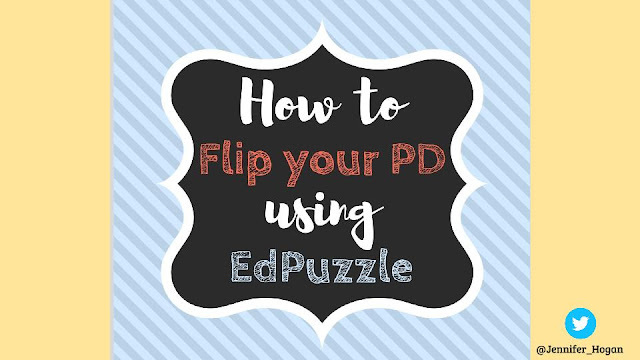 I've had great feedback from participants who weren't able to attend the live session and had to do the EDpuzzle flipped PD. They have found it easy to use, and they like the feature that allows them to work at their own pace and not have to finish the session in on sitting. Another feature I should mention even though I don't use it is the ease of integration with Google Classroom. 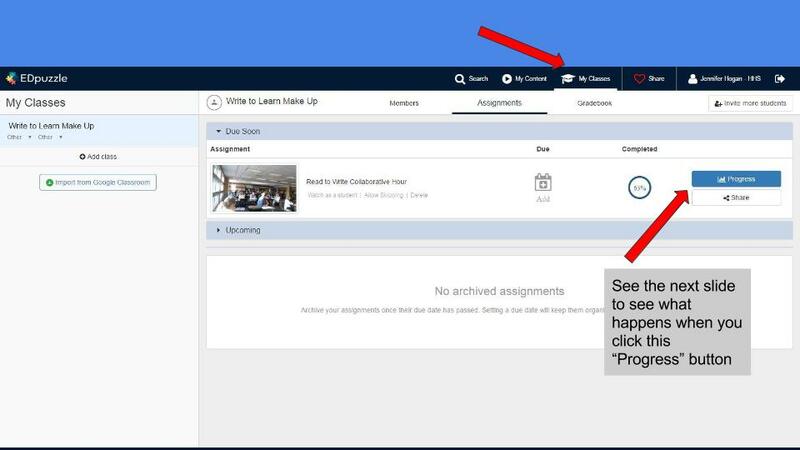 If you're an administrator and you use a Google Classroom with your teachers, you could easily share this with everyone in the class with one click. 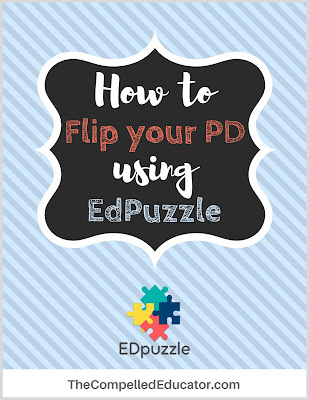 I've created a Google Slideshow of instructions if you decide to try using EDpuzzle. Just click the picture below to access the slides. What other tools are used to FLIP the PD at your school? 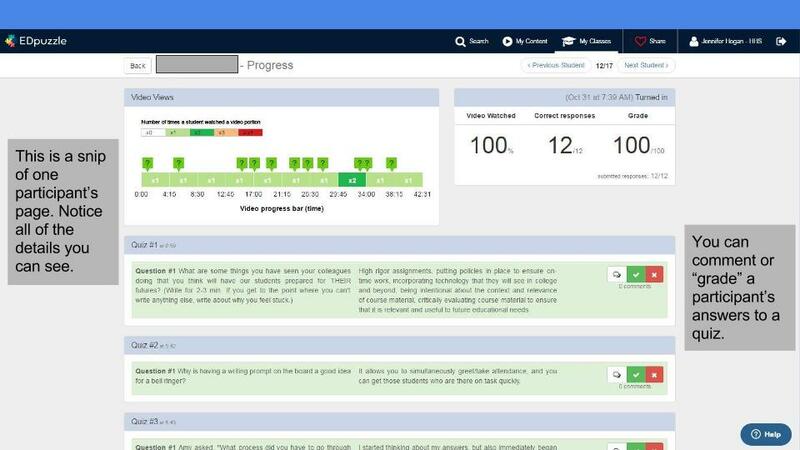 Does EDpuzzle sound like something you want to try? I'd love to hear your thoughts!